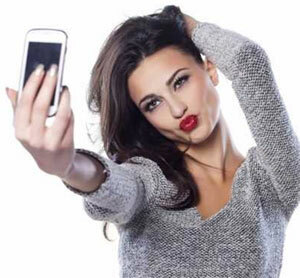 Are we being VAIN with Botox? It’s not unusual for patients, both men, to voice concern about their motivation for seeking out aesthetic treatments. Some curious men will ask, “Do many men get these treatments?” Women, on the other hand, will say, “No one knows that I do these treatments. I’m treating myself today.” A more recent question that I’m asked by patients when receiving their injection treatments is, “do you think I’m being vain? I always pause before answering that sincere question. I recognize that the average patient works hard to invest in these treatments, and I’m very aware that they are trusting me with this investment in themselves. If we give attention to our physical health, maintaining our hair, nails, or wardrobe, then wanting to improve an important asset, our face, fits nicely into that routine. I recognize that in this day of endless selfies, outrageous aesthetic treatments, and a society that is overwhelmingly promoting self-centeredness, it’s no wonder that a patient would pose that question. I have often repeated a mantra over the years of, “crazy people do not wonder if they are crazy.” We can translate that to, “narcissists do not wonder if they are narcissistic” and finally….Vain people do not wonder if they are being vain.